We know that many of you were hoping for a release of the Samsung Galaxy Note on Verizon, but you may have to settle for LG’s Optimus Vu instead. According to the picture above, which is from an FCC filing for a device under model number LG-VS950, I’d say we could be seeing the Vu any day. 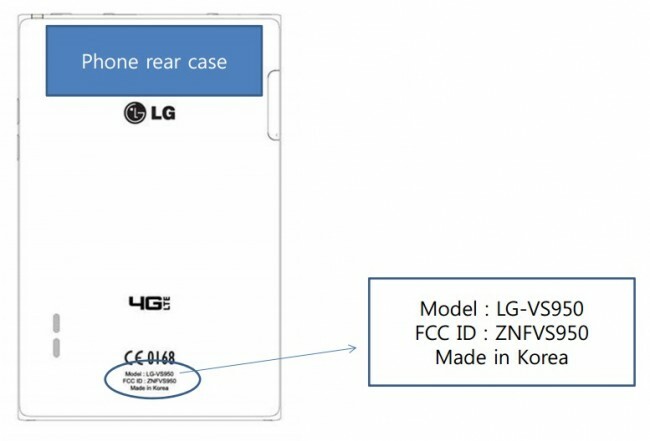 We know it’s headed to Verizon because of the 4G LTE logo used, the frequency of LTE that was tested, and also because the model number matches up to previously released LG phones on Big Red. That giant square-ish form factor and speaker location are the giveaway that it’s the Vu. For those not familiar, the Vu is a phone with a 5″ display, 1.5GHz dual-core processor, 8MP camera, is only 8mm thick, runs Gingerbread, and is capable of running on 4G LTE. We actually got our hands on the device back in May, in case you want to see it in action.